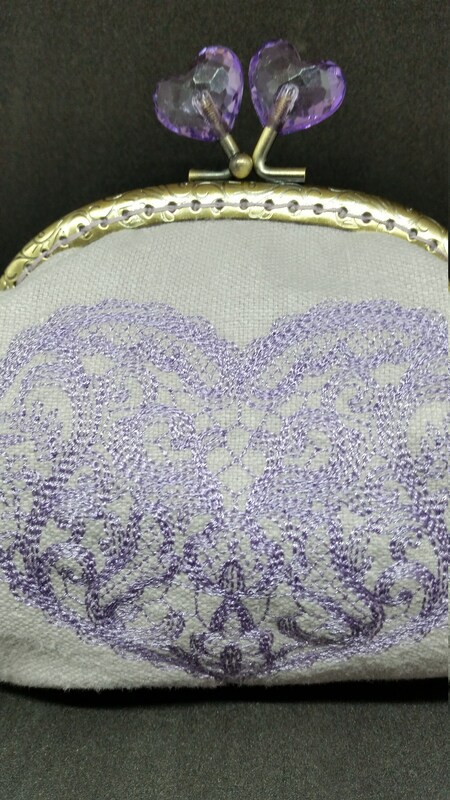 CP636. 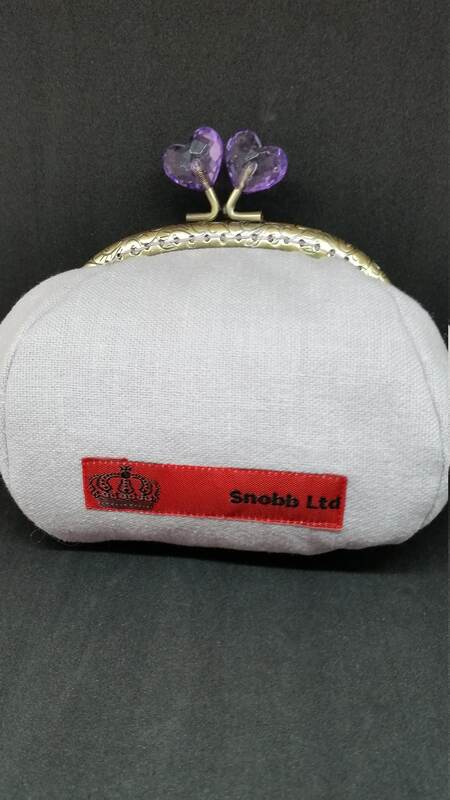 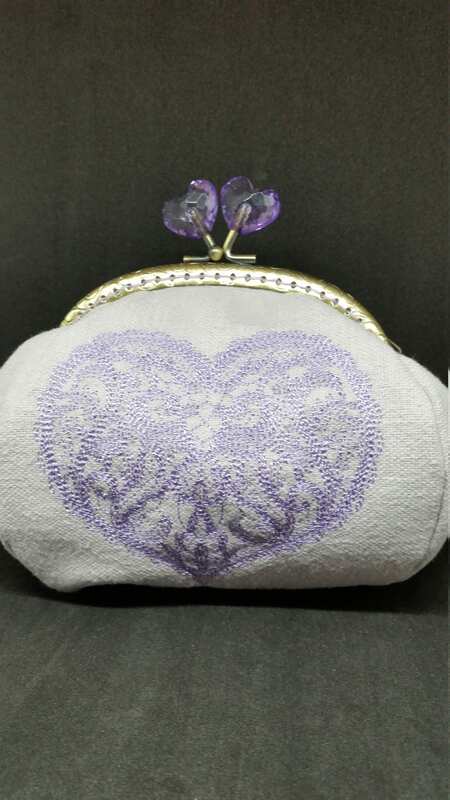 The lilac valentine heart large coin purse. 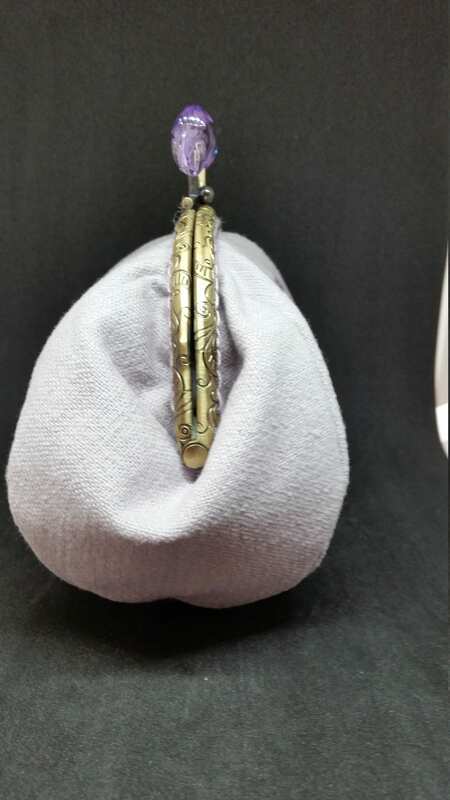 CP636. 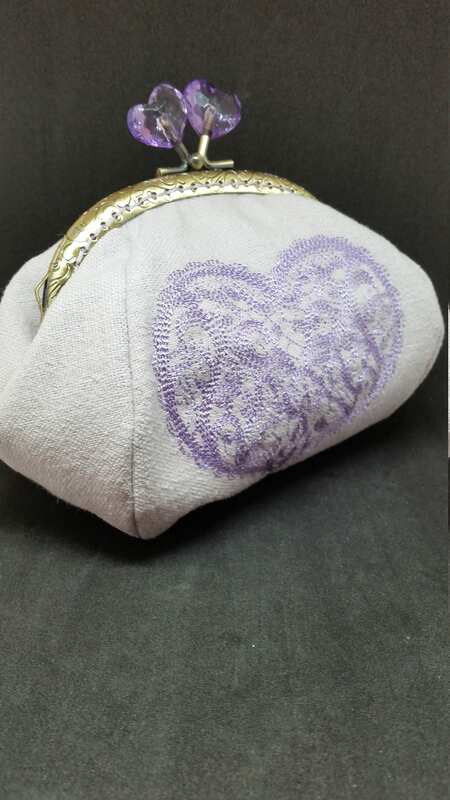 The Lilac Valentine heart coin purse. 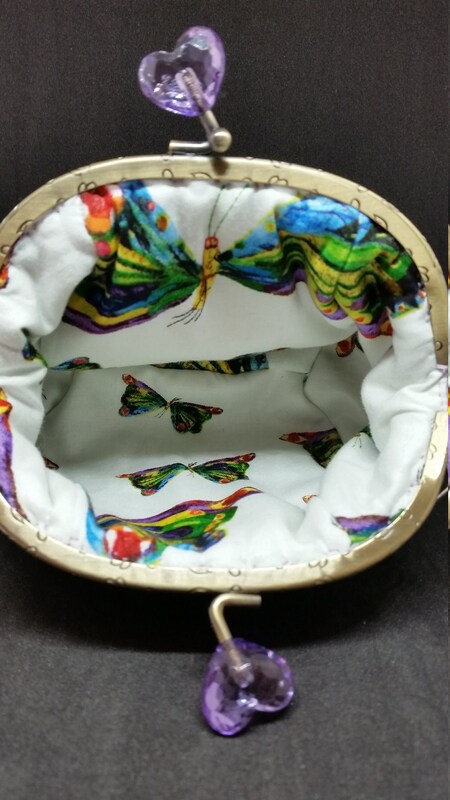 Outer fabric is embroidered 100% heavy weight cotton. 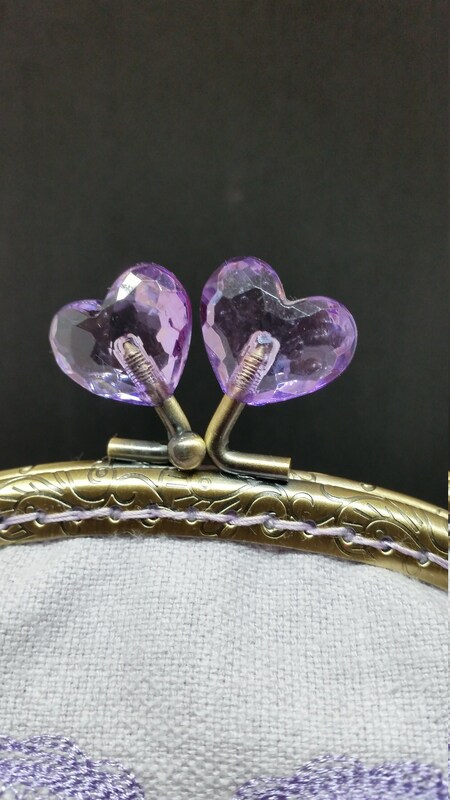 Antique bronze kiss lock frame with beautiful lilac, heart shape clasp.